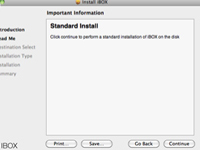 Double click on the downloaded file to run the installation script. 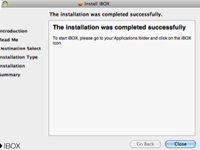 Select a folder to install iBOX. 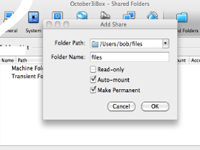 We recommend to use "My Documents" folder to store iBOX application. 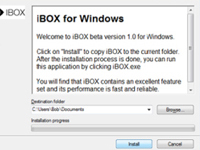 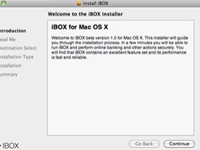 Choose the location to install iBOX. 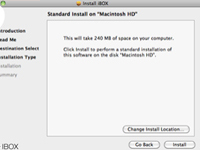 To complete the installation, click on "Close" button. 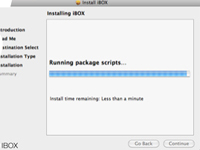 To install in the Dock, drag the iBOX icon from the applications folder into the Dock. 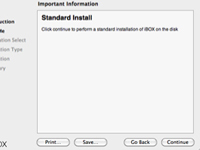 Click "Ok" and restart your machine. 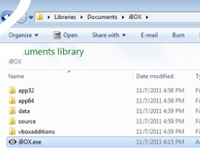 All files that you download in iBOX will be stored on your computer in the directory you specified in "Folder Path". 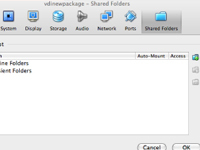 You are ready to use the shared folder.